Another week, another adventure for Felicia Day’s Dragon Age: Redemption. This week adventure finds the betrayed Reaver, Nyree, who reveals disturbing secrets about the mage Saarebas’ real motives. First episode, second episode, and third episode are also available, for those who haven’t seen it yet. Dragon Age: Redemption is a six-part webseries based on the BioWare series of the same name. 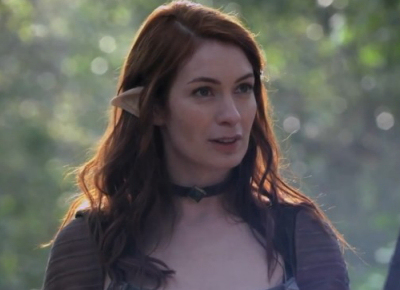 It is created by and stars Felicia Day, creator and star of the webseries The Guild. Felicia Day is a professional actress who has appeared in many TV shows and movies. Check her IMDB page or Wikipedia page for a full list of credits. Felicia is most well-known for her acting in web video; in Joss Whedon’s epic internet musical “Dr. Horrible’s Sing-Along Blog” and in her own show that she writes, stars in and co-produces, “The Guild”. She is also an avid social networking fan, most prominently on Twitter. For more press, contact information and her blog check out her website http://feliciaday.com. 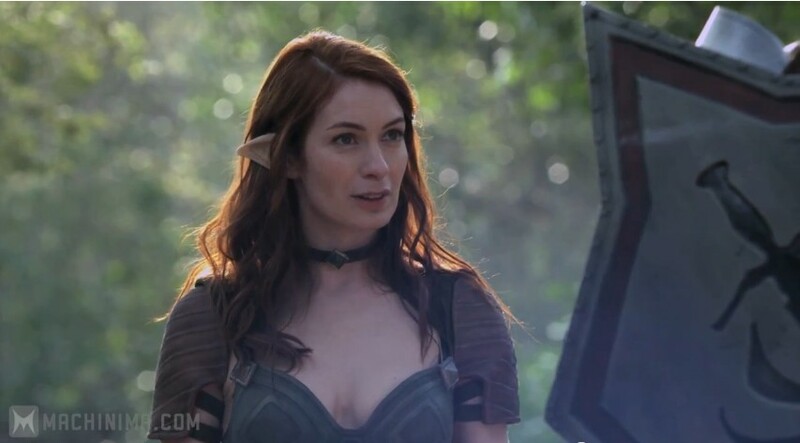 This entry was posted in Games, Movies/TV and tagged Bioware, Cairn, Dragon Age Redemption, eps 4, Felicia Day Josmael, Nyree, Tallis on November 1, 2011 by David W.
Dragon Age: Redemption Episode 3 is out starring Felicia Day. Their little adventure begins as a tentative truce unites Tallis and Cairn, a young Dalish Mage, Josmael, insists on accompanying them to save his beloved. Find out what happens below. First episode and second episode are also available, for those who haven’t seen it yet. 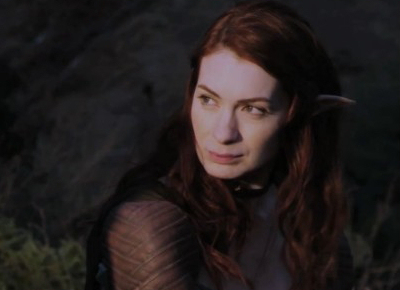 This entry was posted in Games, Movies/TV and tagged Bioware, Cairn, Dragon Age Redemption, eps 3, Felicia Day, Josmael, Tallis on October 25, 2011 by David W.
Dragon Age: Redemption Episode 2 is out starring Felicia Day. Still not quite sure what to make of the series, but its interesting to watch and it’s got elf ears. Can’t go wrong with elf ears! Of course, it reminds me of the elf ears they were selling at BlizzCon couple years ago. If you missed the first episode, you can find it here. This entry was posted in Games, Movies/TV and tagged Bioware, Dragon Age Redemption, Eps 2, Felicia Day on October 18, 2011 by David W.